← What’s New? We’ve got Slabs! 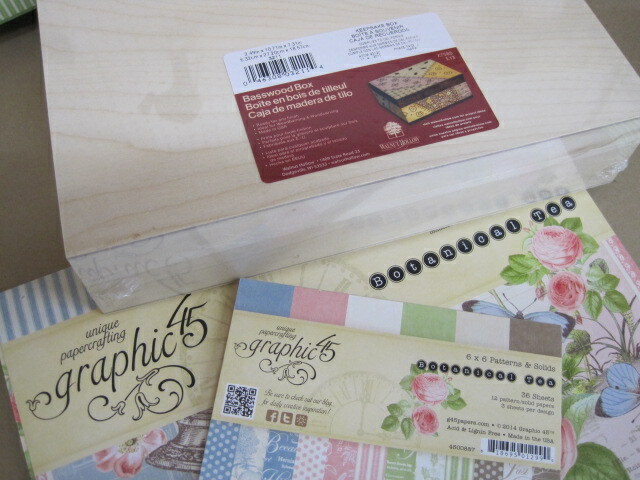 My daughter loves tea and I love Graphic 45® – so it was just meant to be that I make a tea box for her as a gift using Graphic 45’s Botanical Tea papers (12 x 12 pad and 6 x 6 Patterns and Solids Pad) and accessories. 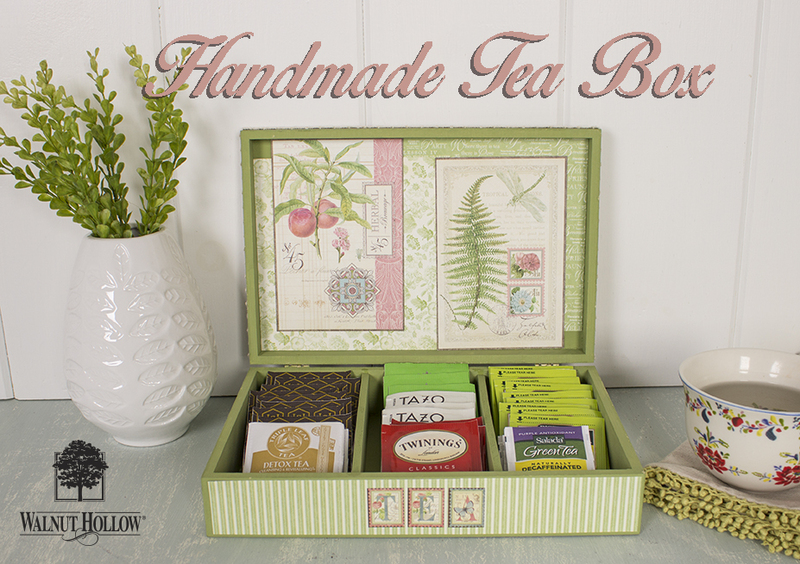 I used the Walnut Hollow Keepsake Box for the Tea Box. I began the project by using a large flat brush to basecoat the entire box – inside and outside – with DecoArt® Americana® Chalky Finish New Life (green). I also painted 2 white strips of foam core board (1 3/8” x 6 5/8”) with New Life. 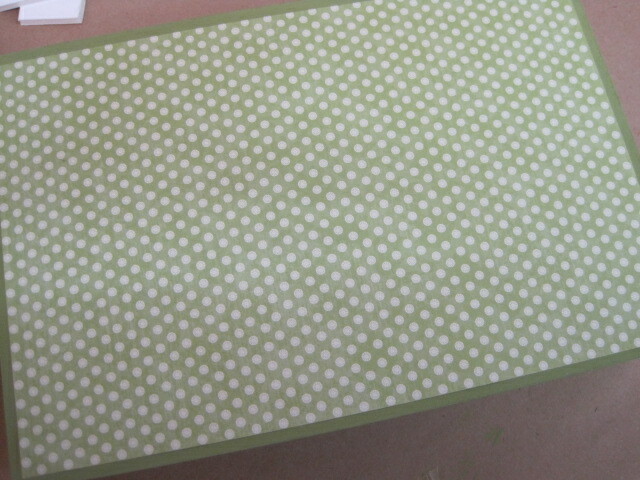 While it was drying, I cut the Graphic 45 papers to fit the top, (dots) 10 ½” x 6 ¾”, (Botanical Tea) 6” x 6”, and (Love Note) 4” x 6”. Cut the papers for the sides (4 strips from 6” x 6” stripe) 1 ½” x 6”. Cut paper for the inside (2) 4” x 6” Love Notes and (2) 6” x 6” papers of your choice. 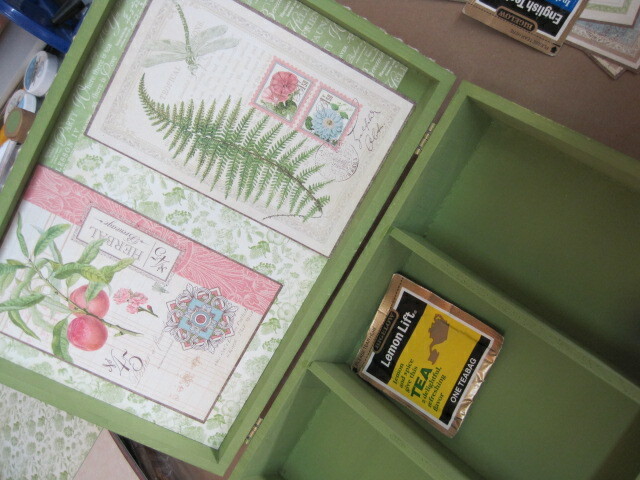 I used Xtreme adhesive to adhere the papers and MONO Multi Liquid Glue to adhere the painted green foam core dividers for the tea. 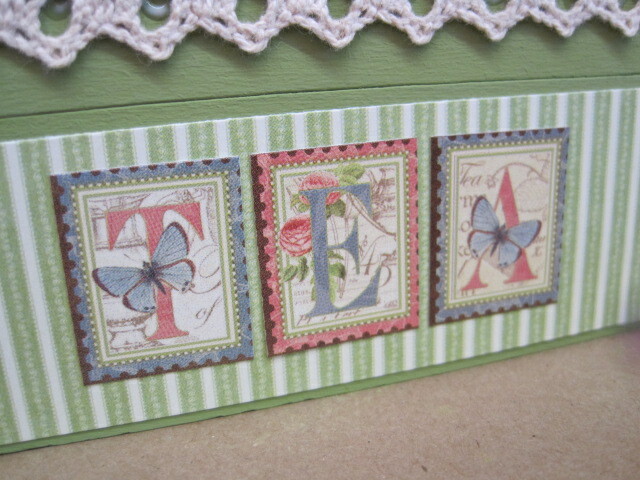 The final touch was added with the Graphic 45 Botanical Tea Stickers. 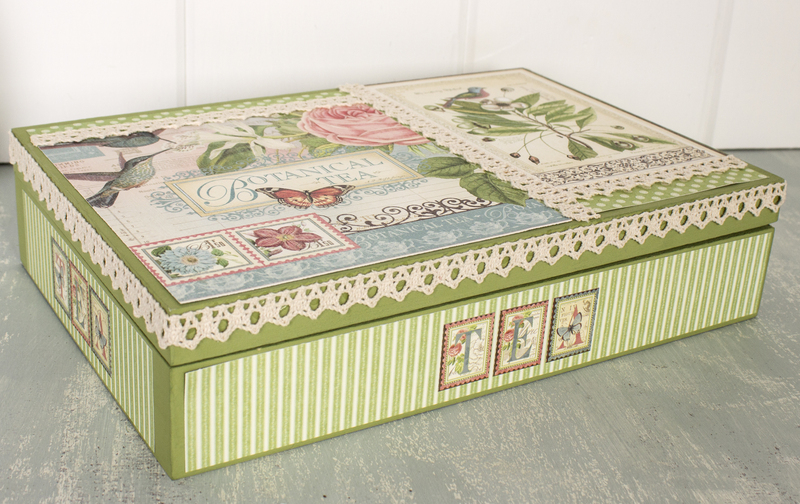 I’m sure my daughter will enjoy her Tea Box – made especially for her! Graphic 45 <— GO HERE NEXT! Enter a Rafflecopter giveaway. Prizes from all of our sponsors will be raffled off! Love this box! I wouldn’t say no to that as a gift! This would be a perfect gift for one of my friends. It’s so pretty. Absolutely gorgeous!! You could even put the envelopes of coffee and creamer packets in this or tags or small note cards!!! Thanks for the inspiration! This is fabulous. I would love to receive this anytime. I like Barb Macaskill’s idea of the coffee. I wouldn’t mind a few packets of fudge. Love the colors. Soft and pastel. I love getting Walnut Hollow Crafts newsletters, y’all have the best ideas and products. Thanks for being in the “Hop” too. Once the tea is gone, they can still use the box to hold treasures . . . great idea! 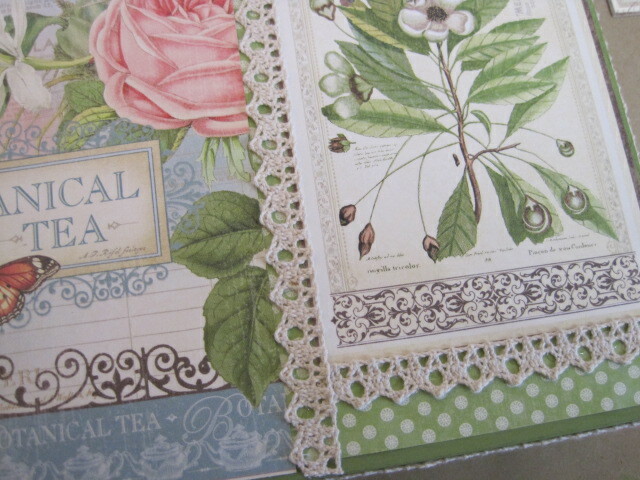 Such a beautiful tea box, and using Graphic 45’s paper is just perfect. This would make a lovely gift. I’m a big G45 fan and this is great. thanks for the tutorial. 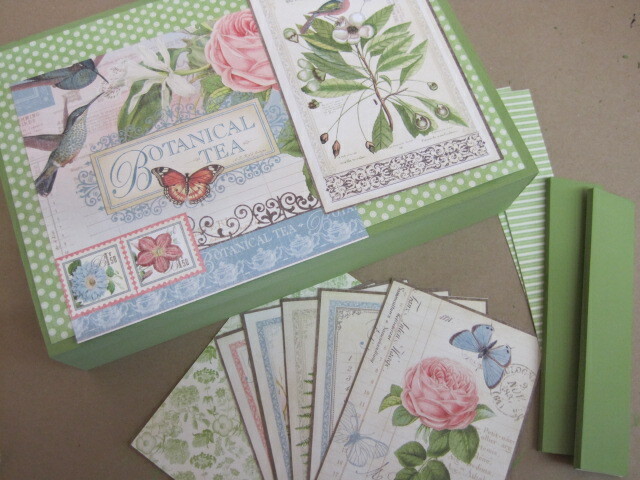 Love Botanical Tea….what an Amazing Keepsake Box! ! ! Great idea. I have a dozen or more tins with tea bags. This box is perfect for my tea. It looks very elegant. A little vintage style and I love this style. Thank you. What a gorgeous creation and gift, Chris! How do you print the instructions?